It is a requirement of your Agreement, that the goods are protected against Theft and Accidental Damage. We can arrange Theft & Accidental Damage Cover for £1.21 per week. It is a requirement that products purchased on a credit agreement are insured. We can offer Theft and Accidental Damage Cover for £1.21 per week. 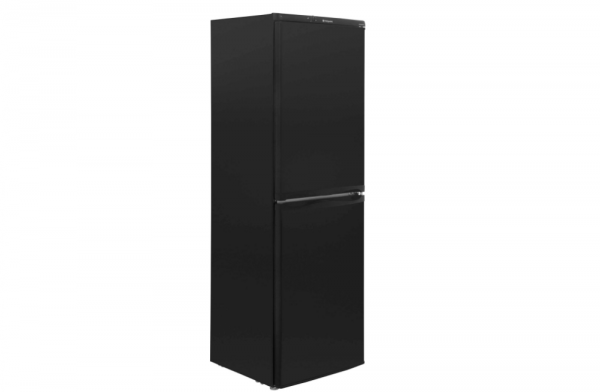 This black Hotpoint Fridge Freezer has a 225 litre capacity, which can hold 12 shopping bags of groceries. It’s frost free, which means cold air circulates around the freezer cabinet, preventing ice from building up – so it never needs manually defrosting. Your food will stay fresh thanks to Hygiene Plus technology. This handy anti-bacterial lining in the fridge keeps the compartment free from mould and bad odours.